I'm going through an intense ring kick. I used to never (ever) wear rings - I found them uncomfortable and could never find a ring my size since I have the skinniest fingers known to man (I'm a size 4 or 5!) However, my anti-ring phase has officially ended and I'm obsessed with the beautiful gold plated and silver pieces from Campbell by Michelle Campbell Mason. Of course, I can only wear the rings on my fattest finger (a size 5) but I'm still loving it. Michelle is inspired by the urban landscape and her pieces are simple yet elegant and timeless. 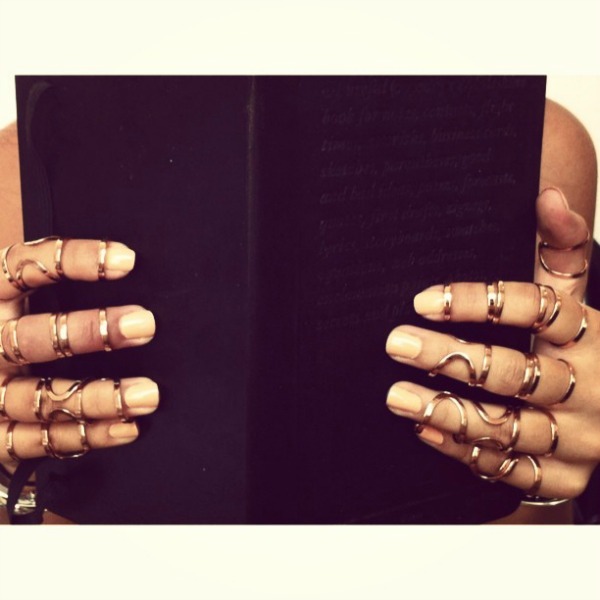 My two favorites are the deep V ring and the prison ring but I've been lusting over this knuckle ring as well. I'm the same way! I used to shy away from rings, but now all I want is perfect stackable beauties. Love your picks!